If you're looking to show off a cool bjj t-shirt at your next session, be sure to take a look at Kingz t-shirts. They come in a range of different designs and colours, all at affordable prices. 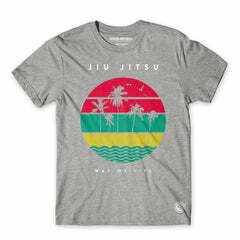 Show off your love for Jiu Jitsu with one of these awesome BJJ t-shirts. This reputable brand produces great quality materials for you to enjoy. Shop the range below to find your next favourite t-shirt.